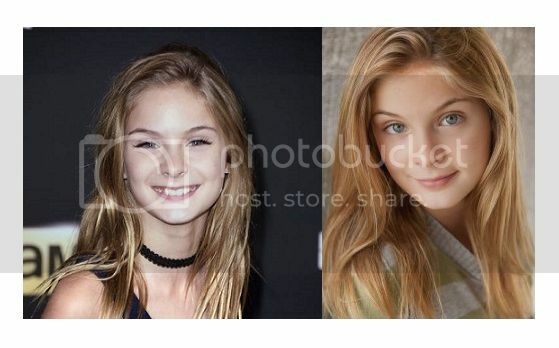 Brighton Sharbino now stars as Lizzie Samuels in the hit AMC TC series Walking Dead. She had appeared in Television shows, such as NCIS as the young Abby, Prime Suspect, Hannah Montana, and The New Normal. Her films included Cheap Thrills (2013) and The Death of Socrates (2010). Brighton Rose Sharbino is a model, singer, dancer, and an American actress from Flower Mound, Texas. She was born on August 19, 2002. Brighton has two siblings, Saxon Paige and Sawyer Gregory who are also into acting. Brighton used to be scared of zombies because a friend convinced her they were real. TWD has apparently helped her face that fear; she now dreams about playing hide-and-seek with them. Presently, she is one of The Walking Dead Season 4?s most interesting new characters playing Lizzie Samuels. Lizzie Samuels is a young girl first introduced in Season 4 of AMC’s The Walking Dead. She is the sister of Mika Samuels and the daughter of Ryan Samuels; all former residents of Woodbury. Lizzie appears to be a messed up character. Lizzie is the second child in the series to kill a human. The first is Carl. She is shown to be a skilled marksman, her killing Alisha and an unnamed soldier at short-medium range, both with a headshot between the eyes during the prison attack by the Governor and his men.